Great Z's: What Is This? We take a lot of surveys and inspections in our hospital. 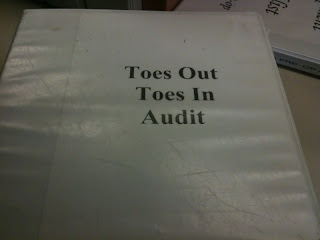 I found this binder at the nurses' station. Interesting title. Can you guess what this audit is all about?